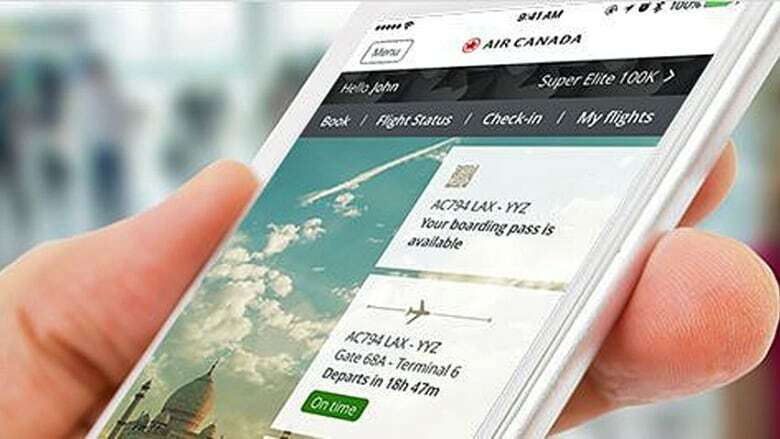 Air Canada says the personal information for about 20,000 customers “may potentially have been improperly accessed” via a breach in its mobile app, so the company has locked down all 1.7 million accounts as a precaution until customers change their passwords. The company estimates about one per cent of the 1.7 million people who use the app may have been compromised. The app stores basic information such as a user’s name, email address and telephone number, all of which could have been improperly accessed. Any credit card information on file would have been encrypted and as such protected, the company says. But additional data such as a customer’s Aeroplan number, passport number, Nexus number, known traveller number, gender, birth date, nationality, passport expiration date, passport country of issuance and country of residence could have been accessed, if users had them saved in their profile on the app. As long as app users still have a valid passport and other pieces of supporting documentation, the government says the risk of someone filing for and receiving a new passport in their names is low. Air Canada said it hasn’t detected any improper log-in activity since last Friday, and it is in the process of contacting the 20,000 people directly affected. In the meantime, the company has locked down all mobile app accounts and is instructing users to reset their passwords. @AirCanada Having the same problems with resetting the mobile app password as others here. Sending us to the info page is no help. All of the password reset links I received in today's email update redirect to the Air Canada home page. Cannot access app at all. But many users on social media reported having difficulties doing so, likely due to the volume of people attempting to log on. The company advises anyone looking to get into the app to keep trying.